Every mom is proud of each of her little ones! 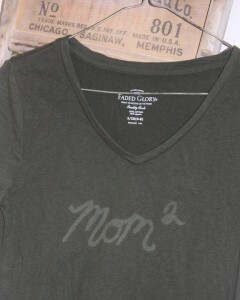 These Mom to the Nth t-shirts are a great way to show your pride in a sweet and subtle way! Using a bleach pen you can personalize a t-shirt in minutes. Wouldn’t this be a great way to share with your loved ones that you are expecting (witch I AM NOT – just in case this makes you wonder)! Just add the number of current kiddos plus one and sport to a family function, and see how long it takes people to notice. So fun! I have always thought these shirts were cute, but never wanted to spend $30 some dollars and order one. Earlier this week I showed you how to make a shirt for your kiddos, now here is one for Mom! I used my bleach pen technique to create one for only a few dollars that it just right. 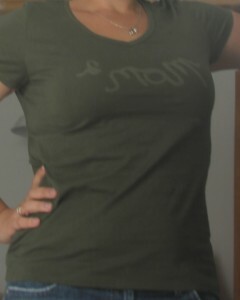 First I found a colored t-shirt at Walmart for $3.00 in a shade that I loved. I already had the bleach pen from another project so I was all set. 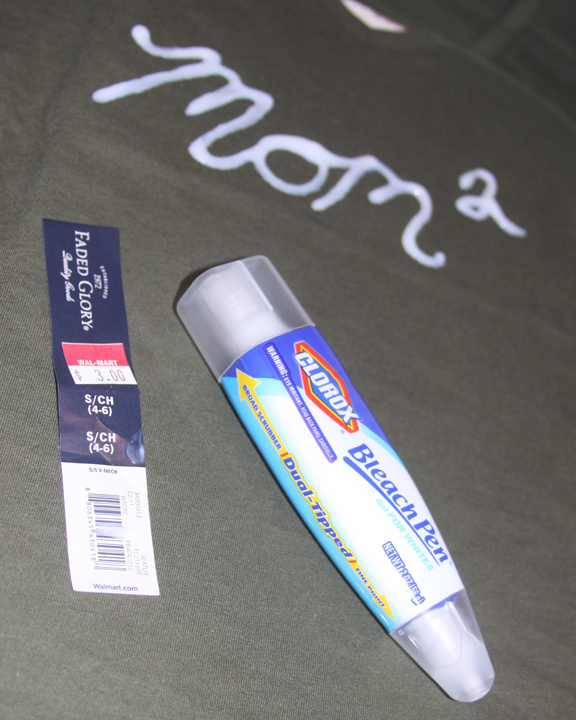 It took me about 2 minutes to put a cutting board into the t-shirt and free hand Mom 2 (because I have two kiddos) using my Clorox bleach pen. So easy! Let sit for an hour or so, wash and dry separate, and sport your new t-shirt with pride! Make one for Dad, Grandma, Grandpa, Aunts, Uncles, Big Brothers and Sisters, or Little Brothers and Sisters. This would make a cute teacher’s gift too. Find out how many students are in their class and add it behind Teacher. A fun and inexpensive gift for anyone.